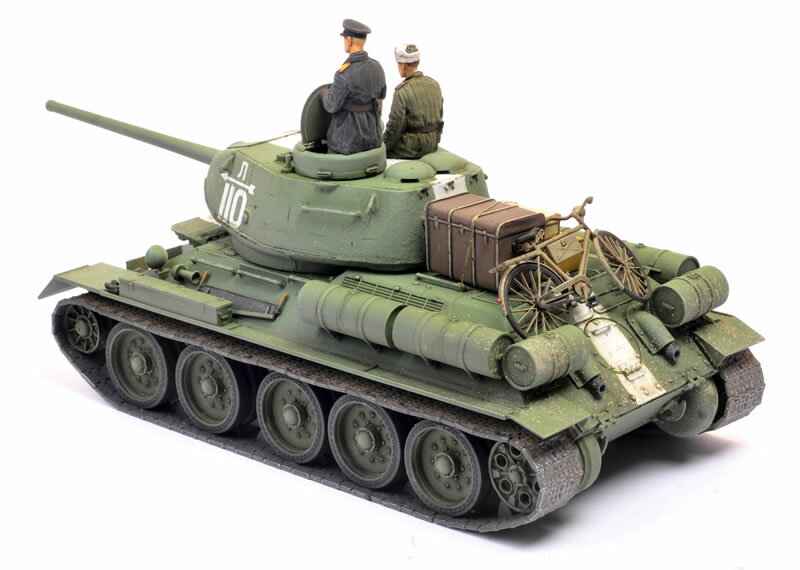 Here is my Academy's 1/35 scale T-34/85 with DEF Model's Mod. 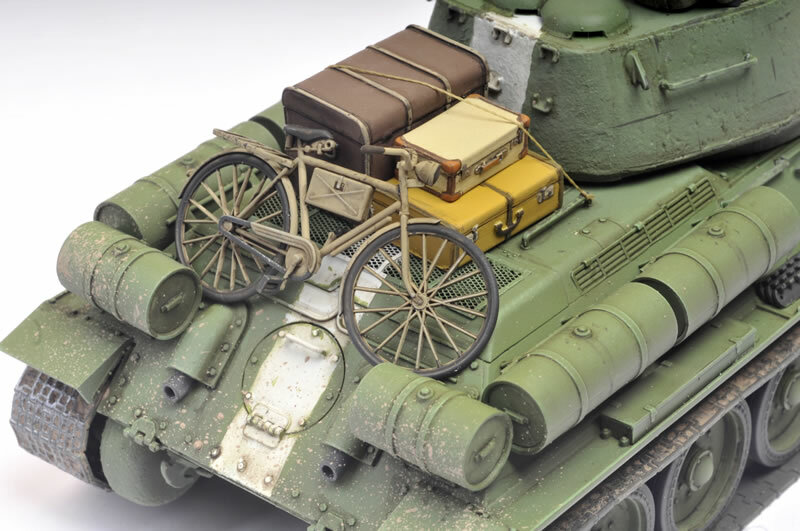 1944 D-5T Main Gun turret conversion and decals, an old Tamiya German bicycle, Plus Model suitcases and Alpine crew figures. Let me start by saying I have been advised that I have completed this model in an incorrect configuration. For the early D-5T gun turret, the squared-off fenders, smoke discharger drums and wheels are incorrect – check your references carefully (as I clearly had not)! 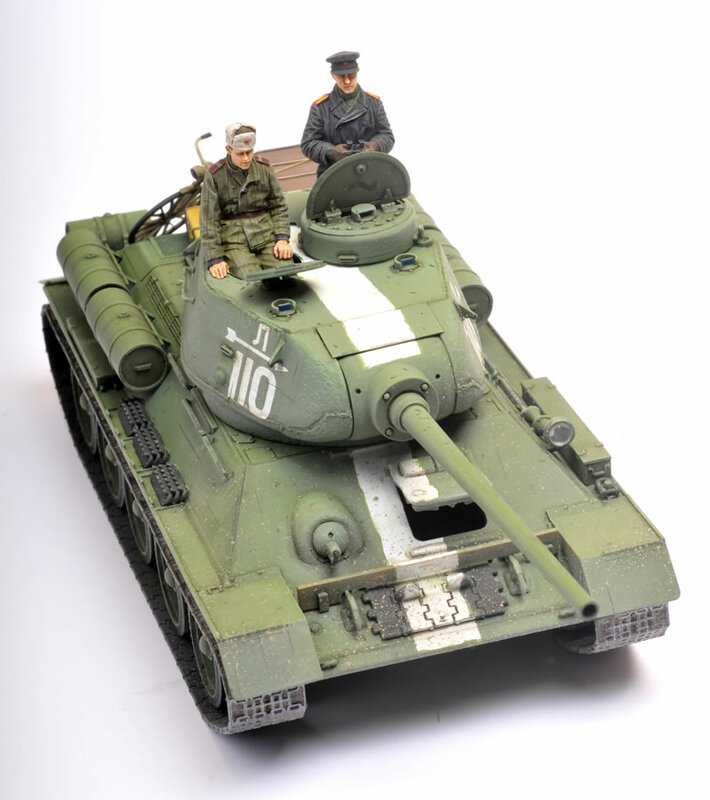 The Academy kit is a quick build, offers a photo-etched mesh engine deck grille, has link and length tracks and fits together well, but the cast texture (on the turret in particular) is very peculiar and really needs to be addressed. It's not just that it is overdone. It just doesn't really look anything like cast texture. Some details are a bit too simplified too. 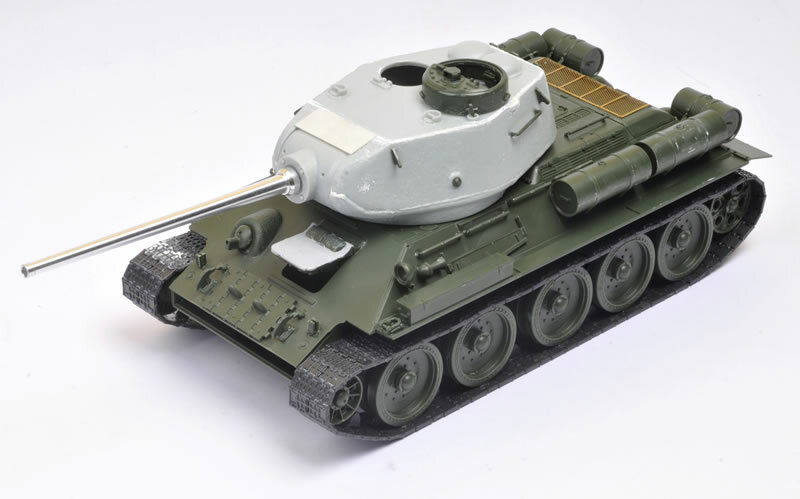 Fortunately, the DEF turret immediately addresses this issue as its cast texture is very convincing. I'll be writing this one up in detail in Issue 151 of Model Military International magazine.